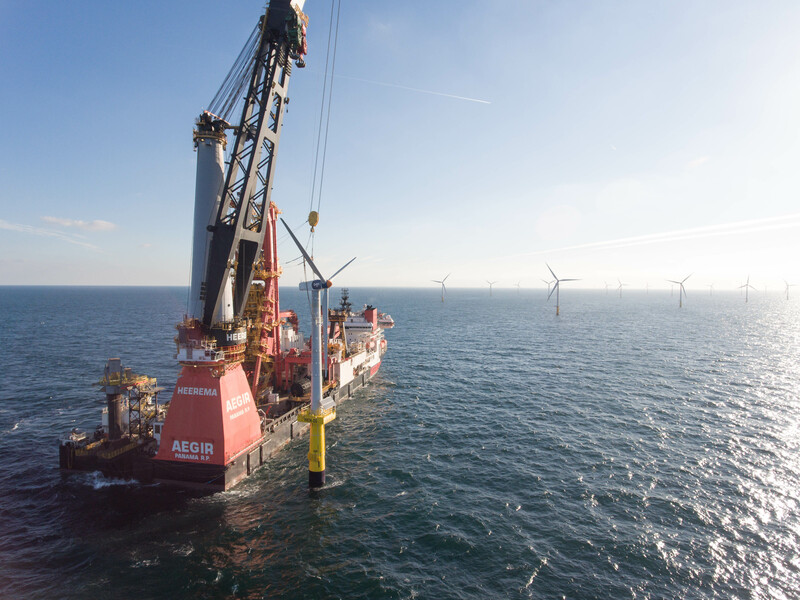 This morning, Sunday September 30, Heerema’s Aegir successfully installed the DOT wind turbine on its previously installed monopile connected by a Slip Joint. 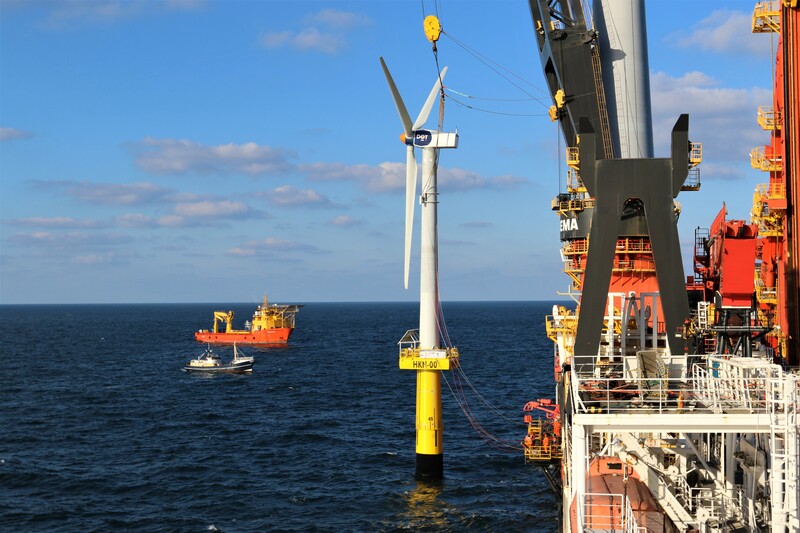 Heerema Marine Contractors, project stakeholder of the SJOR-consortium, decided to step into this project to present herself to the industry as an installation contractor who is also focusing on the transportation and installation of wind turbine foundations & turbines. The DOT wind turbine is located in the Eneco Princess Amalia Wind Park off the coast of IJmuiden, the Netherlands. 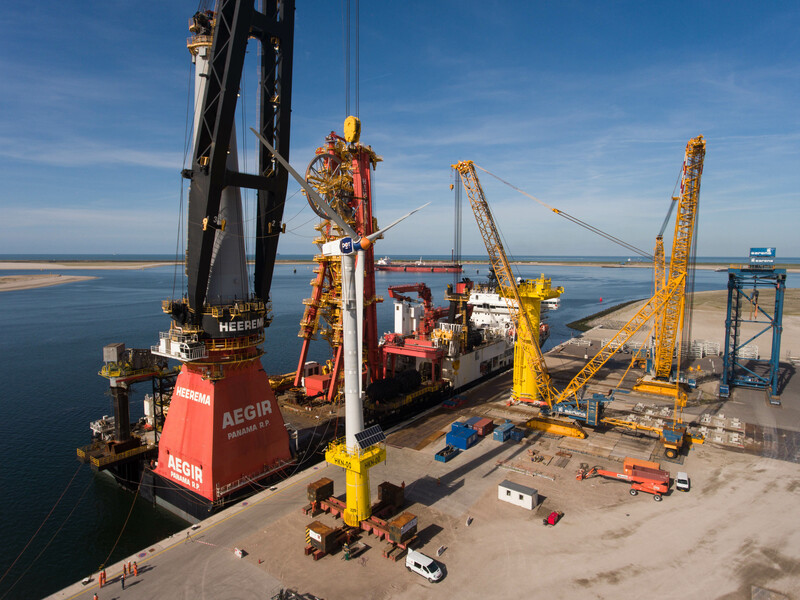 The complete wind turbine was picked up in a single lift by Heerema’s lifting vessel Aegir from the quay of Sif Rotterdam and transported towards its designated location. 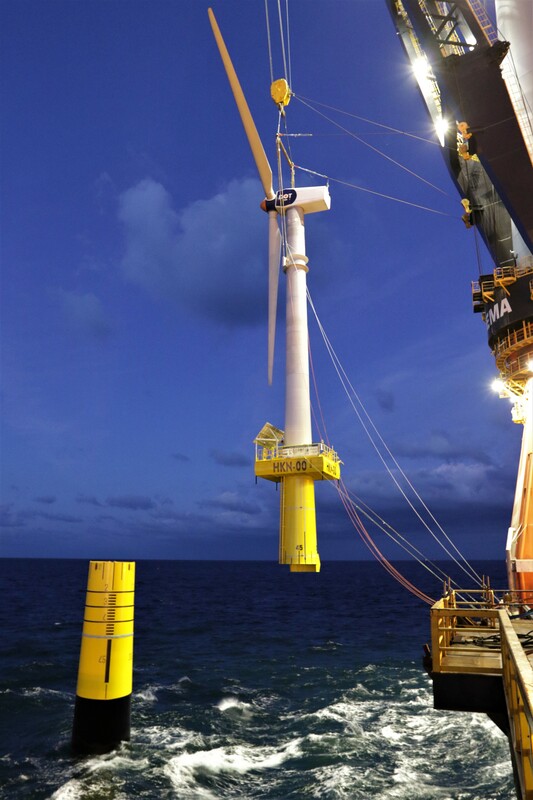 The fully assembled turbine was installed by Aegir as a floating vessel and kept in position by Dynamic Positioning (DP). The installation of the wind turbine took less than 1 hour in total, which is noticeably faster than usual installation. The Slip Joint is an alternative connection between an offshore wind turbine and its foundation. The connection is based on friction, where the weight ensures a firm and stable connection. Installation is done by simply sliding the wind turbine over the monopile without the use of grout or bolts. This simple mechanism allows for cost reduction in material, equipment and personnel as well as allowing for a shorter installation time. It is the first time a slip-joint connection is deployed offshore. The Slip Joint Offshore Research project (SJOR) was initiated by DOT BV late 2016 and is a collaboration between the research partners; TU Delft, TNO, Van Oord and Sif group and project stakeholders; Eneco and Heerema Marine contractors. This consortium aims to further reduce the costs of Offshore Wind and to strengthen the Dutch offshore Wind energy sector.